Successfully Added Sensational 5 Inch Touchscreen LCD with TV + A2DP to your Shopping Cart. 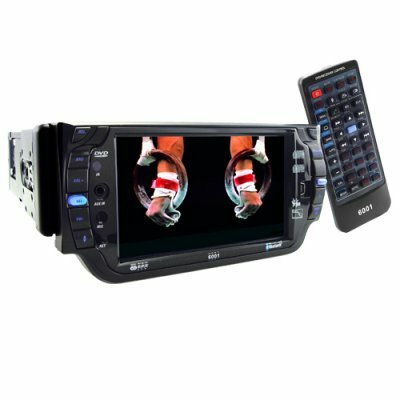 5 Inch LCD Touchscreen, A2DP and front mount AV in - this sensational Car DVD is one of the best detachable faceplate units we've seen yet. Firstly the screen will blow you away at 5 inches! It's huge for a detachable faceplate unit and the display is bright, crisp and clear. The features don't stop there though with an awesome DVD player capable of MPEG 4, cdrw, and cdr playback, as well as subwoofer out, coaxial audio out, and RDS radio all coming into the mix. The front mounted AUX in is a great feature enabling fast and simple connection with video players (via RCA). It doesn't stop there though with awesome Bluetooth features including A2DP for music streaming from a mobile device to the awesome power of your car stereo. Source this product from Chinavasion and be among the first to have such cutting edge in-car digital product..